Colombo: A psychosocial support task force, which will introduce a range of services to families of missing persons and others in Sri Lanka who suffer from post-conflict trauma, has been set up. Formed by the Office for National Unity & Reconciliation (ONUR), the task force will take care of psychosocial needs of the families which will be part of the healing process. As per one estimate, there are at least 24,000 cases of missing persons. 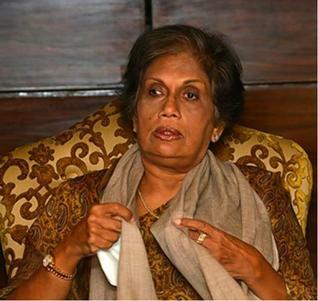 Headed by former President Chandrika Kumaratunga, the ONUR had come up with an action plan “to systematically look into” the cases of the missing persons, an official release said, adding that the implementation of the action plan had commenced. “The relevant legislation is due to be approved by the Parliament later this month,” the release said, adding that the Office on Missing Persons (OMP), an investigative body, would be in place by August end. Reacting to the government’s move to establish the OMP, the Centre for Policy Alternatives (CPA), a Colombo-based NGO, has demanded the formation of a forensics unit within the OMP. The CPA pointed out Kosovo’s Office of Missing Persons and Forensics (OMPF) and civil-society initiatives in Argentina, Peru, and Guatemala as providing a useful road map for a low-cost, victim-centred approach.